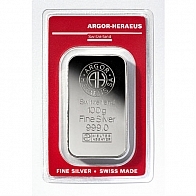 Argor Heraeus is one of Switzerland's most prominent precious metals refineries. 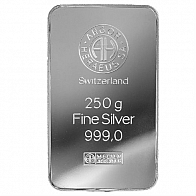 The refinery produce precious metals products for a number of institutions, including the Austrian Mint, UBS and Raiffaisen bank. However, Argor Heraeus also manufacture their own range of silver bullion bars. 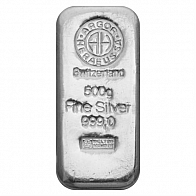 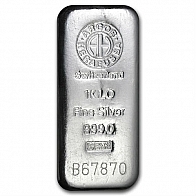 Argor Heraeus silver bars are available in 100 gram, 250 gram, 500 gram and 1 kilogram sizes, and may be purchased for secure Swiss vault storage or delivery worldwide.